PHOENIX, AZ – June 13, 2018 – Hot Air Expeditions, known for providing upscale hot air ballooning experiences in Phoenix/Scottsdale, AZ, today announced that it has received the TripAdvisor Hall of Fame Award. This achievement honors elite businesses that consistently deliver an outstanding experience to travelers for five (5) consecutive years. There is no way to apply for this honor, nor can it be bought. Recipients are chosen based on the quality, quantity and recency of user reviews as well as the business’s longevity on the site. Hot Air Expeditions offers hot air ballooning experiences daily, year-round in the morning, and afternoon ballooning experiences seasonally, November-March. 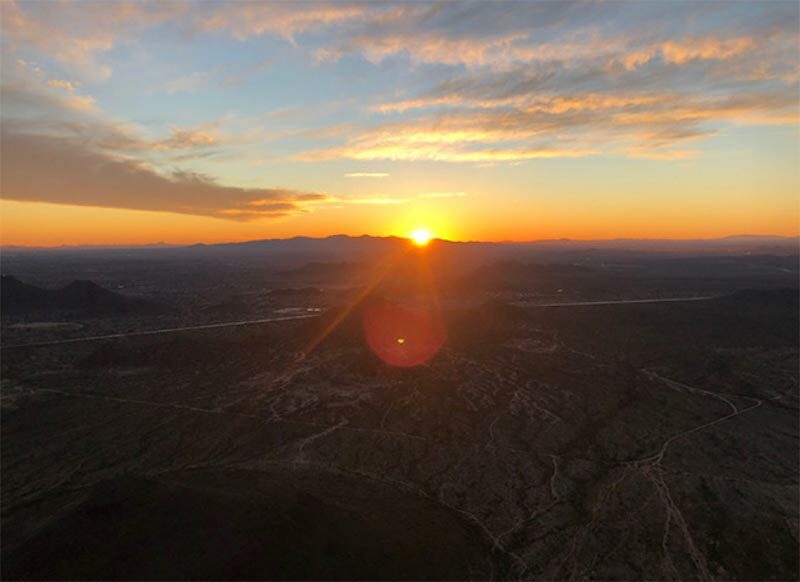 Hot Air Expeditions is proud to be a local, family owned and operated hot air balloon tour company in Phoenix, AZ for over 27 years. For more information on Hot Air Expeditions, visit our website and TripAdvisor listing.